Married Aura Castillo de Nova … has three children: Brandon, Jaymee and Jaydee ... Instagram: @Inova47 … Twitter: @IvanNOva47 … hobbies include playing dominos. Made 29 starts with Pittsburgh, the second-highest total of his career (31 in 2017) ... Averaged 1.96 walks per 9.0 IP (35 BB), the fourth-best mark in the National League … did not issue more than three walks in any of his 29 starts ... Limited opponents to a .231 (33-143) average with RISP and a .077 (1-13) mark with the bases loaded ... Posted a 2.99 ERA (27 ER/81.1 IP) over 14 starts at home, the 10th-best mark in the National League … went 6-2 with a 2.84 ERA (21 ER/66.2 IP) in 11 starts during the day, compared to 3-7 with a 5.15 ERA (54 ER/94.1 IP) over 18 starts at night ... Combined to go 2-1 with a 3.32 ERA (14 ER/38.0 IP) over six starts in March/April … matched his season high with nine strikeouts over 6.2 IP in a win on 4/15 at Miami … threw 8.0 scoreless IP on 4/26 vs. Detroit ... Fell to 0-4 with a 7.61 ERA (20 ER/23.2 IP) over five starts in May … gave up five runs on six hits over 2.0 IP in a no decision on 5/8 at the White Sox ... Was on the 10-day disabled list from 5/28-6/9 with a sprained right index finger… went 2-0 with a 1.75 ERA (5 ER/25.2 IP) over four starts in June … threw 8.0 scoreless IP for the second time on 6/22 vs. Arizona ... Made three straight quality starts from 8/9-21 … tied his season best with nine strikeouts over 6.0 scoreless IP on 9/8 vs. Miami. Established career highs in starts and innings pitched while spending his first full season as a starting pitcher (without any time on the D.L. or in the minors)...Went 9-6 with a 3.21 ERA and a .254 opponents batting average against in 18 starts prior to the All-Star break and 2-8 with a 5.83 ERA and a .316 average against in 13 starts after...Posted an 8-2 record and a 2.80 ERA in 12 home starts (includes 11 starts at PNC Park and one "home" game at Bowman Field in Williamsport, PA)... Went 3-12 with a 5.02 ERA in 19 road starts; was winless (0-8) in his last nine road starts after winning on 7/8 at Wrigley Field... Started the Pirates Home Opener (team game #3) on 4/7 vs. Atlanta and was the winning pitcher (6.0ip/1r/0er)...Tossed a complete game in a losing effort on 4/17 at St. Louis; threw just 78 pitches in a 2-1 loss to Lance Lynn...Ended his streak of 154 batters faced without issuing a base on balls after walking Yankees pitcher Jordan Montgomery on 4/23; was his first walk since 9/13/16...His streak of six starts without a walk was the longest by a Pittsburgh pitcher since Babe Adams (also six) in 1922-23...Tied team record by making 17 consecutive starts with one walk or fewer from 8/6/16 thru 5/4/17 - also Babe Adams from 7/1/22 thru 5/7/23...Pitched his second complete game on 4/29 at Miami, becoming the first Pittsburgh pitcher since Zane Smith in 1992 to have two complete games in the month of April... Was named National League Pitcher-of-the-Month of the month of April after going 3-2 with a 1.50 ERA (36.0ip/6er) in five starts; the first Pittsburgh pitcher since Gerrit Cole (April 2015) to take home Pitcher-of-the-Month accolades...Pitched 8.1 innings while winning his fifth game on 5/25 at Atlanta...Collected his first hit of the season on 5/30 vs. Arizona (single off Robbie Ray), snapping an 0-for-28 streak dating back to 2016...Ranked third among National League pitchers with 41.0 innings pitched during the month of May, trailing only Carlos Martinez (44.1) and Max Scherzer (43.2)...Left his start on 6/6 at Baltimore in the seventh inning due to left knee inflammation...Also gave up three home runs on 6/6; the first time he allowed three homers in a game since 4/19/14...Pitched 6.0 innings or more in each of his first 15 starts; the first Pittsburgh pitcher to do so in a season since Eddie Solomon (17 starts) in 1981...Walked a season-high four batters on 9/22 vs. St. Louis; the first time he issued four walks in a game since 8/25/15...Went 1-for-51 and had nine sacrifice bunts as a batter; went hitless in his last 27 at bats after collecting lone hit on 5/30...Left his final start on 9/28 after being hit by a pitch (right hand) in his first at bat. Went 12-8 with a 4.17 ERA (162.0ip/75er), 28 walks and 127 strikeouts in 32 total games (26 starts) with New York (AL) and Pittsburgh...Ranked fifth among Major League pitchers with a 1.56 BB/9.0ip ratio...Set career highs in games and his three complete games tied his single-season career high (also had three with the Yankees in 2013)... His three complete games with Pittsburgh were the most by a Pirates pitcher since Zach Duke had three in 2009...Began season pitching in relief with the Yankees...Tossed 4.0 scoreless innings in his first appearance on 4/6 vs. Houston and earned his first Major League save in New York's 16-6 victory...Picked up his second career relief win (also 5/25/13) after tossing 2.1 scoreless frames in 6-3 victory on 4/22 vs. Tampa Bay...Suffered loss while making final relief appearance on 5/1 at Boston...Went 1-1 and posted a 5.14 ERA (14.0ip/8er) in his six relief outings...Made first start with the Yankees on 5/9 vs. Kansas City (4.2ip/1er) and received a no-decision...Won backto-back starts on three occasions; 5/14 and 5/19, 6/4 and 6/9 and again before and after the All-Star break on 7/7 and 7/18...Went 6-5 with a 4.86 ERA (83.1ip/45er) in his 15 starts with New York...Was acquired by Pittsburgh on 8/1...Made his debut with the Pirates on 8/6 and won a 5-3 decision vs. Cincinnati (7.0ip/3er) while throwing just 76 pitches...Also singled off Homer Bailey on 8/6 and scored his first Major League run...Threw 98 pitches while pitching his fourth career complete game on 8/23 vs. Houston...Gave up one run in 6.0ip while winning a 3-1 decision on 8/28 at Milwaukee; also left the game after six innings with left hamstring discomfort...Became the second Pittsburgh pitcher in the last 75 years to go 4-0 in his first five games with the Pirates (also Dave LaPoint in 1988)...Went 4-0 with a 2.87 ERA in five starts during the month of August; was one of only four pitchers in the National League to produce a 4-0 record while making five or more starts during the month...Pitched his second complete game on 9/8 vs. Cincinnati (94 pitches)...Became the first Bucco pitcher since Paul Maholm in 2007 to throw fewer than 100 pitches in two complete games in the same season... Gave up 18 hits and 11 runs (seven earned) while losing back-to-back starts on 9/18 and 9/24...Was credited with his third complete game of the season in his final start on 9/29 vs. Chicago (5.1ip/1er); game ended in a 1-1 tie due to rain in the sixth inning...Issued only one walk in his first five starts (31.1ip) with the Pirates and just three free passes overall with the Bucs in 64.2ip... Went 3-for-26 (.115) at the plate overall with New York and Pittsburgh. Went 6-11 with a 5.07 ERA (94.0IP, 53ER) in 17 starts after returning from the 60-day disabled list in June...held opponents to a .269 (99-for-368) average; LH .312 (59-for-189), RH .223 (40-for-179)...set a career high with 11 losses, recording a loss in seven of his final eight starts...Missed the first 71 team games on the 60-day D.L. while recovering from "Tommy John" surgery to repair the ulnar collateral ligament in his right elbow, which was performed on 4/29/14...went 1-1 with a 4.02 ERA (15.2IP, 7ER) in three rehab starts - one with Single-A Tampa and two with Triple-A Scranton/Wilkes-Barre...Returned from the injury to throw 6.2 scoreless innings (3H, 2BB, 1K) and earn the win in his season debut on 6/24 vs. Philadelphia...marked his first start since 4/19/14 at Tampa Bay...was the first Yankees pitcher to throw at least 6.2 scoreless innings with 3H-or-fewer in his season debut since Orlando 'El Duque' Hernandez (8.0IP, 1H, 0ER) on 4/6/02 vs. Tampa Bay...marked his only scoreless start of the season...Took a decision in all 17 starts...was the first pitcher to receive a decision in every appearance and make at least 17 appearances since 1942, when Philadelphia-AL's Lum Harris went 11-15 in 26 games (20 starts) and Chicago-AL's Ted Lyons went 14-6 in 20 starts...is only the third Yankees pitcher with a decision in every one of 17-or-more appearances, joining Red Ruffing in 1939 (21-7 in 28 starts) and Clark Griffith in 1903 (14-11 in 25 games/24 starts)...was tied with Cleveland's Carlos Carrasco, the Angels' Garrett Richards and Washington's Max Scherzer for the longest streak of starts with a decision in the Majors in 2015...marked the Yankees' longest streak of decisions in starts to begin a season since Andy Hawkins took decisions in his first 24 starts in 1989...dating to 9/15/13, has taken a decision in each of his last 24 starts (9-15), the longest such streak by a Yankees pitcher since Hawkins' 24-start streak...is the longest such streak by an AL pitcher since Roy Halladay took decisions in 26 consecutive starts from 6/30/08-5/17/09...Went 4-3 with a 3.10 ERA (40.2IP, 14ER) over his first seven starts (6/24-8/2), allowing 2ER-or-fewer in five of the seven outings...was removed from the rotation after his loss on 9/12 vs. Toronto (G2) but rejoined the rotation due to Tanaka's injury and made three more starts...went 2-8 with a 6.58 ERA (53.1IP, 39ER) in his final 10 starts...finished the season by losing his final four starts, the longest losing streak of his career...Took a shutout into the sixth inning of six different starts, including four of his 11 losses...Went 3-6 with a 6.17 ERA (46.2IP, 32ER) in nine starts at Yankee Stadium and 3-5 with a 3.99 ERA (47.1IP, 21ER) in eight road starts...had a Yankee Stadium-record streak of 27 consecutive starts at Yankee Stadium with 1HR-or-fewer from 7/31/12-9/12/15...it was tied for the longest streak of home starts without allowing multiple HRs by a Yankee since 1984...Had a 3.93 run support average (94.0IP, 41RS)...went 6-0 when receiving at least 3R and 0-11 when receiving 2R-or-fewer...His .223 (40-for-179) opponents' BA vs. RHB was 12th-lowest in the AL (min. 175AB vs. RHB)...held opponents to a .194 average (18-for-93) with RISP and a .295 average (81-for-275) in all other situations. Was 2-2 with an 8.27 ERA (20.2IP, 19ER) in four starts with the Yankees before a right elbow injury ended his season on 4/19...opponents batted .372 (32-for-86, 6HR); LH .346 (18-for-52, 0HR), RH .412 (14-for-34, 6HR)...made his fourth career Opening Day roster (2011-14)...Prior to allowing 7ER in 3.2IP on 4/8 vs. Baltimore, had held opponents to 4ER-or-fewer in 24 consecutive starts dating back to 9/15/12...marked the longest such streak by a Yankees pitcher since Ron Guidry allowed 4ER-or-fewer in 27 consecutive starts from 6/2/81-6/24/82...Was removed from his start on 4/19 at Tampa Bay with right elbow soreness, after allowing 8ER in 4.0IP (8H, 1BB, 4HR, 4K)...prior to that start, had allowed 1HR-or-fewer in 26 consecutive starts dating back to the 2012 season, which had been the second-longest active streak in the AL at the time...allowed multiple home runs in a game for the first time since 8/21/12 at Chicago-AL (2HR)...Underwent an MRI on 4/19 revealing a partial tear of the right ulnar collateral ligament...was placed on the 15-day D.L. on 4/20 with a right elbow ulnar collateral ligament injury (transferred to the 60-day D.L. on 4/24)...Underwent "Tommy John" surgery on 4/29 to repair the ulnar collateral ligament in his right elbow...the surgery was performed by Dr. James Andrews in Pensacola, Fla...Made five official spring training starts, going 2-1 with a 3.66 ERA (19.2IP, 21H, 8ER, 2BB, 21K). first Yankee to accomplish the feat since CC Sabathia did so in eight straight starts from 6/25-8/1/11 and the first Yankees right-hander to do so since David Cone from 6/24-7/28/98 (also seven consecutive starts). Tossed 48.0 consecutive homerless innings from 7/22-8/25 prior to a sixth-inning Evan Longoria home run on 8/25 at Tampa Bay. Tossed his first career complete-game shutout on 8/31 vs. Baltimore (9.0IP, 3H, 1BB, 5K, 2HP) in a 2-0 Yankees win. Recorded a no-decision in the Yankees' 9-8 loss on 9/5 vs. Boston (4.0IP, 5H, 3ER, 1HR, 2BB, 3K)… marked his shortest start since 4/26/13 vs. Toronto, when he lasted 2.0IP and left with right elbow pain… was his shortest non-injury affected start since 9/22/12 vs. Oakland (2.1IP, 5H, 3ER)… threw 47 pitches in the third inning, facing eight batters and allowing 2ER (on 2 singles, 1 double, 2BB). Earned the win in the Yankees' 6-0 victory vs. San Francisco on 9/21 (9.0IP, 6H, 1BB, 7K), tossing his third career complete game (also 8/31/13 and 7/5/13, both vs. Baltimore) and second complete-game shutout… joined Hiroki Kuroda (two in 2012) and Mike Mussina (two in 2005, two in '02 and three in '01) as the only Yankees with multiple complete-game shutouts in a single season since the start of 1999. Was 12-8 with a 5.02 ERA (170.1 IP, 95 ER) in 28 starts for the Yankees...became just the third Yankees pitcher over the last 80 years to win at least 12 games in a season with an ERA above 5.00: also Randy Johnson (17-11, 5.00 ERA in 2006) and Richard Dotson (12-9, 5.00 ERA in 1988)...Held opposing batters to a .169 (11-for-65) batting average with runners in scoring position and two outs...marked the second-lowest such average among AL pitchers who made at least 25 starts in 2012, behind the Angels' Jered Weaver (.152)...Allowed 87 extra-base hits (52 doubles, 7 triples, 28 HRs), tied with Arizona's Ian Kennedy for most among all Major League hurlers and the most ever surrendered in a season by a Yankees pitcher...Registered a team-high 10 hit-batters, tying for the eighth-most in the AL...hit four batters over his final six starts of the year (8/11-9/27)...Induced 19 double play grounders, second-most on the staff behind Hiroki Kuroda (23)...Went 4-2 with a 4.67 ERA (52.0 IP, 27 ER) in nine daytime starts, and posted an 8-6 mark with a 5.17 ERA (118.1 IP, 68 ER) in 19 starts at night...Allowed 2 HRs in 4/15 win vs. Los Angeles-AL, including a fifth-inning two-run homer to Chris Iannetta...snapped a streak of 196.2 consecutive innings pitched without allowing a homer with a runner on base that dated back to September 2010...Suffered his first loss on 5/2 at Baltimore, snapping his 15-game winning streak dating back to 6/10/11...was the second-longest winning streak by a Yankee in franchise history, trailing only Roger Clemens (16 straight wins from 5/26-9/19/01)...Struck out a career-high 12 batters in 5/19 loss vs. Cincinnati, including each of his first seven outs...became the first Yankees pitcher in exactly 79 years to allow at least five runs while fanning at least a dozen batters (also Don Brennan, who surrendered five runs while striking out 12 St. Louis Browns at the original Yankee Stadium on 5/19/33)...Also became the fourth Yankee in the Live Ball Era (since 1920) with at least 12 Ks in 6.0 IP or less (also A.J. Burnett and Joba Chamberlain in 2009 and Scott Sanderson in 1991)...Had his 12-game road winning streak snapped on 7/3 at Tampa Bay...was undefeated in his previous 16 road starts (6/20/11-6/23/12), going 12-0 with a 3.17 ERA (105.0 IP, 37 ER) over the span...Went 2-5 with a 7.05 ERA (60.0 IP, 47 ER) following the All-Star break...Lost three straight decisions over five starts from 7/15-8/6...marked the first time in his career he lost consecutive decisions as a starter (in 55 GS)...according to Elias, only David Cone (81 starts) and Whitey Ford (53 starts) also went at least 50 starts into their Yankees careers before losing two straight decisions as a starter...Tied a career-high with 3 HRs allowed in 7/15 loss vs. Los Angeles-AL...Allowed a career-high 9 ERs on 7/31 vs. Baltimore (5.0 IP, 10 H, 1 HR, 1 BB, 5 K, 1 WP), becoming the first Yankees pitcher to allow at least 9 Rs and 10 Hs in a start since Sergio Mitre on 9/6/09 at Toronto (11 H, 11 R) and the first Yankee to allow at least 9 Rs in a start at the current Yankee Stadium...allowed 7 Rs in a 32-pitch second inning...Was placed on the 15-day disabled list on 8/23 with inflammation in his right rotator cuff...missed 14 games before being reinstated prior to his start on 9/15 at Tampa Bay in which he earned the win...Combined to allow 7 ERs in 7.0 IP over his final two starts (9/22 vs. Oakland and 9/27 at Toronto). Was 16-4 with a 3.70 ERA (165.1IP, 68ER) in 28 games (27 starts) in his rookie season with the Yankees...among qualifying rookie starters (starts only), ranked first in wins (16), second in ERA (3.66), third in innings pitched (164.2) and fourth in opponents' batting average against (.256) and strikeouts (98)...opponents batted .258 (163-for-633); LH .240 (75-for-313); RH .275 (88-for- 320)...the Yankees were 19-8 in his starts ... His 16 wins marked the most among Major League rookies and tied for ninth most among all Major League pitchers... marked the most wins by a Yankees rookie since Stan Bahnsen in 1968 (17-12)...since 2000, only three Major League rookies compiled more wins in a season: CC Sabathia in 2001 (17 w/Cleveland), Justin Verlander in 2006 (17 w/Detroit) and Jason Jennings in 2002 (16 w/Colorado) ... Won 16 of his first 20 decisions of the season... according to Elias, only four other rookies won at least 16 of their first 20 decisions in a season: Bob Grim (1954), Jack S. Sanford (1957), Wally Bunker (1964) and Tom Gordon (1989) ... According to Elias, the Yankees' 19-8 (.703) mark in games started by Nova was the second-best for any AL team in starts by one pitcher (min: 20GS), behind only Detroit's Justin Verlander (25-9 , .735). At 15-3 (.833) through his first 25 starts of the season, marked the second-highest winning percentage for a rookie since 1910...according to the Elias Sports Bureau, only Boston's Mike Nagy (.846, 11-2) had a higher mark over his first 25 starts of 1969 ... Made 16 "quality starts" (at least 6.0IP, 3ER or fewer), lasting 7.0 or more innings in 10 of those outings and holding his opponent to 1ER or less in seven of those appearances ... Made five spring training starts, going 2-0 with a 1.80 ERA (20.0IP, 4ER), earning a spot in the rotation...led all Yankees starters in ERA, the lowest mark for a Yankees pitcher during the exhibition season (minimum: 20.0IP) since Jaret Wright posted a 0.86 ERA in the spring of 2005, according to Elias ... With his win on 4/4 vs. Minnesota became the first Yankees rookie to win a start within a season's first four games since 22-year-old Al Leiter defeated the Brewers, 4-1, in the fourth game of the 1988 season, according to the Elias. Started three of the Yankees' first 12 games, the first Yankees rookie to accomplish the feat since Bill Piercy in 1921...started four games in April, the seventh Yankees rookie to do so, joining Bill Burbach (1969), Doc Medich (1973), Bob Tewksbury (1986), Al Leiter (1988), Kei Igawa (2007) and Ian Kennedy (2008) ... Became one of two Yankees since 1980 to go undefeated in his first six career starts, joining Joba Chamberlain (first 7GS in 2008) ... Made his lone relief appearance on 4/19 at Toronto and recorded the loss, allowing 1ER in 0.2IP (2H) in the "walk-off" loss ... Held the Rangers to one unearned run and just 2H in 7.1IP to earn the win on 5/6 at Texas...became just the second Yankees rookie over the last 25 years (since 1986) to earn a win while limiting his opponent to just 2H and 0ER and pitching more than 7.0 innings in a road start (also Mariano Rivera, 7/4/95 at Chicago-AL) ... Went undefeated in his last 16 starts (12-0 with a 3.25 ERA)...according to Elias, tied the Yankees' all-time record for longest winning streak as a starting pitcher in a single season by a rookie, set by Russ Ford in 1910 and matched by Atley Donald in 1939...was the longest for any Major League rookie since Cincinnati's Tom Browning went undefeated in 14 consecutive starts in 1985...had his streak of winning eight consecutive starts come to an end in his start on 9/8 at Baltimore with a no-decision...the eight-start streak ran from 7/1-9/2, becoming the first Yankees rookie with such a streak since Marius Russo won eight straight in 1939, according to Elias ... The Yankees won 12-consecutive starts with Nova on the mound from 6/10-9/2/11, their longest streak of wins in games started by a particular pitcher since they won 20 straight games started by Roger Clemens in 2001 ... Was optioned to Triple-A Scranton/Wilkes Barre on 7/3, following Bartolo Colon's return from the D.L...made three starts for Scranton/WB, going 1-2 with a 3.38 ERA (16.0IP, 6ER, 18K, 2BB)...made his last minor league start on 7/19 at the Columbus Clippers and recorded the loss, allowing 1ER in just 1.1IP before being removed from the game with a sore right ankle (3H, 1BB, 3K, 1HR) ... Was recalled from Scranton/WB prior to his start on 7/30 in Game 2 of a doubleheader vs. Baltimore...went 8-0 with a 3.18 ERA (73.2IP, 26ER) over the remainder of the regular season, holding opponents to 3ER or less in nine of 11 starts ... Went 1-1 with a 4.32 ERA in two ALDS appearances (one start) vs. Detroit...made his postseason debut in relief in Game 1, which was halted due to rain on 9/30 in the bottom of the second inning with the score tied, 1-1... game was resumed the following day with Nova on the mound for the Yankees...held the Tigers to 2ER in 6.1IP (4H, 4BB, 5K) to earn the win, becoming the first Yankees rookie to earn a win in his postseason debut since Orlando Hernandez on 10/10/98 in Game 4 of the ALCS at Cleveland...retired his first seven batters faced ... Made his first career postseason start in the deciding Game 5, allowing 2ER in 2.0IP (3H, 0BB, 3K, 2HR) before exiting with a tight right forearm and suffering the loss...was the first Yankees rookie to start a winner-take-all postseason game since Mel Stottlemyre in the 1964 WS at St. Louis, and became only the second rookie pitcher all time to make his first postseason start in a winner-take-all game, joining the Phillies' Marty Bystrom in the 1980 NLCS Game 5 at Houston, according to the Elias Sports Bureau ... Was diagnosed with a Grade 1 Flexor Strain of his right forearm after seeing Dr. Christopher Ahmad and undergoing an MRI at New York-Presbyterian Hospital on 10/7. Was 1-2 with a 4.50 ERA in 10 games (seven starts) with the Yankees in his first MajorLeague action...opponents batted .268 (44-for-164, 4HR); LH .276 (27-for-98, 3HR),RH .258 (17-for-98, 7HR)...went 0-1 with a 1.69 ERA (5.1IP, 1ER) in his three reliefoutings...posted a 1-1 record with a 4.91 ERA in his seven starts...Opposing batters hit .230 (17-for-74) with two extra-basehits their first time through the order, .262 (17-for-65) witheight extra-base hits their second pass and .400 (10-for-25) with two extra-base hits the third time through...Was recalled from Triple-A Scranton/Wilkes-Barreon 5/10...made his Major League debut in 5/13 lossat Detroit, tossing 2.0 scoreless innings (2H, 1K) ofrelief...made one additional relief appearance (5/16 vs.Minnesota) before being optioned back to Scranton/WB on 5/17 when Chan Ho Park was reinstated fromthe 15-day D.L...Was recalled a second time on 8/22, joining the startingrotation...completed 6.0 innings just once (9/8 vs.Baltimore)...was removed with a lead in four of hisseven starts...Made his first Major League start against Toronto atRogers Centre on 8/23, recording a no-decision, (5.1IP,6H, 2ER, 1BB, 3K, 1HR)...pitched out of a bases-loaded,no-out jam in the first inning...both runs allowed cameon a two-run HR by Jose Bautista in the third...Recorded his first Major League win in his second starton 8/29 at Chicago-AL, allowing 1ER in 5.2IP (5H, 1BB,7K)...became the first Yankees rookie starter to earn awin since Alfredo Aceves on 9/9/08 (credit: Elias) as theYankees became the last Major League team in 2010 tohave a rookie earn a win...Suffered his first loss on 9/25 vs. Boston in his ninth appearance, seventh start(4.2IP, 4H, 4ER, 3BB, 2K, 1HP)...according to the Elias Sports Bureau, became one oftwo Yankees since 1980 to go undefeated in his first six career starts, joining JobaChamberlain (first 7GS in 2008)...Went 12-3 with a 2.86 ERA in 23 starts at Triple-A Scranton/WB (145.0IP, 135H, 50R,46ER, 48BB, 115K, 10HR, .250 opp. BA)...led the staff in wins, ERA, inning pitched(145.0) and strikeouts (115)...ranked second in the International League in ERA,trailing only Baseball America "Player of the Year" Jeremy Hellickson...tied for firstin winning percentage and ranked third in wins...among Yankees farmhands, tiedfor third in wins and ranked fifth in ERA...Made 17 "quality starts" (at least 6.0IP, 3ER or fewer) with SWB, lasting 7.0 or more inningsin seven of his outings and recording a season-high-tying 8.0IP twice...Lost just one of his nal 14 starts with SWB, going 10-1 with a 2.19 ERA (94.2IP, 23ER) overhis final 14 starts from 6/5-8/18...Did not record a decision in three spring training relief appearances with the Yankees,allowing 1ER in 4.0IP (2.25 ERA, 4H, 2BB, 3K, 1HR)...Made three relief appearances in his first spring training, limiting opponents to 1ER in 4.0IP. Made 24 combined starts with Double-A Trenton and Triple-A Scranton/Wilkes-Barre,going 6-8 with a 3.68 ERA (139.1IP, 57ER)...Held opponents to 2ER or less in 10 of his 12 starts with Trenton, including each ofhis final seven outings... left-handers batted just .188 (25-for-133, 1HR) against himat the Double-A level...Tossed 5.2 scoreless innings and allowed just 1H in his Triple-A debut on 6/29 vs.Rochester, earning the win in a 5-0 SWB victory (3BB, 5K)... was credited with his firstcareer complete game on 7/30 vs. Durham, throwing all 7.0 innings and recordingthe loss in Game 1 of a doubleheader (6H, 6R, 5ER, 3BB, 2K, 1HR)...Made two postseason starts for Scranton/WB, going 1-0 with a 1.93 ERA, allowingjust three earned runs in 14.0IP and striking out 10 batters...Following the season, appeared in five games (four starts) with Esogido in theDominican Winter League, going 1-0 with a 1.05 ERA (25.2IP, 17H, 3ER, 4BB, 17K)...Was selected by the San Diego Padres in the second round of the 2008 Rule 5Draft... attended Major League Spring Training with the Padres, allowing 11R (8ER) on13H in 8.2IP over eight relief appearances...was returned to the Yankees on 3/29/09. Made a career-high 26 appearances (24 starts) with Single-A Tampa, going 8-13 witha 4.36 ERA and striking out a career-high 109 batters... ranked second among FloridaState League pitchers with 148.2IP... led the team in starts, tied for most wins andranked second in strikeouts. Was 6-8 with a 4.98 ERA in 21 starts with Single-A Charleston... was placed on thedisabled list from 7/7-14 with a left hip strain...Made one relief appearance for Leones del Escogido of the Dominican Winter League,throwing 1.2 scoreless innings and earning the win (1BB, 1K). Posted a 3-0 record with a 2.72 ERA in 10 games (five starts) with the Gulf CoastLeague Yankees... ranked second in the league with 5HR allowed. 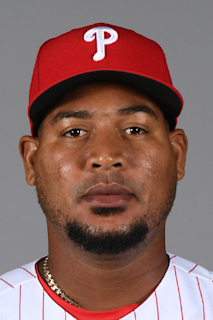 December 11, 2018 Pittsburgh Pirates traded RHP Ivan Nova to Chicago White Sox for RHP Yordi Rosario and Future Considerations. June 10, 2018 Pittsburgh Pirates activated RHP Ivan Nova from the 10-day disabled list. May 28, 2018 Pittsburgh Pirates placed RHP Ivan Nova on the 10-day disabled list retroactive to May 25, 2018. Right ring finger sprain. December 27, 2016 Pittsburgh Pirates signed free agent RHP Ivan Nova. November 3, 2016 RHP Ivan Nova elected free agency. August 2, 2016 Pittsburgh Pirates activated RHP Ivan Nova. August 1, 2016 New York Yankees traded RHP Ivan Nova to Pittsburgh Pirates for Player To Be Named Later and Player To Be Named Later. June 24, 2015 New York Yankees activated RHP Ivan Nova from the 60-day disabled list. June 11, 2015 New York Yankees sent RHP Ivan Nova on a rehab assignment to Scranton/Wilkes-Barre RailRiders. June 8, 2015 New York Yankees sent RHP Ivan Nova on a rehab assignment to Tampa Yankees. October 31, 2014 New York Yankees activated RHP Ivan Nova from the 60-day disabled list. April 24, 2014 New York Yankees transferred RHP Ivan Nova from the 15-day disabled list to the 60-day disabled list. Right elbow ulnar collateral ligament injury. April 20, 2014 New York Yankees placed RHP Ivan Nova on the 15-day disabled list. Right elbow ulnar collateral ligament injury. June 23, 2013 New York Yankees recalled RHP Ivan Nova from Scranton/Wilkes-Barre RailRiders. May 31, 2013 New York Yankees optioned Ivan Nova to Scranton/Wilkes-Barre RailRiders. May 24, 2013 Ivan Nova roster status changed by New York Yankees. April 27, 2013 New York Yankees placed RHP Ivan Nova on the 15-day disabled list. Inflammation of the right triceps. October 19, 2012 New York Yankees activated RHP Ivan Nova. September 8, 2012 New York Yankees activated RHP Ivan Nova from the 15-day disabled list. August 23, 2012 New York Yankees placed RHP Ivan Nova on the 15-day disabled list retroactive to August 22, 2012. Inflammation in his right rotator cuff. July 30, 2011 New York Yankees recalled RHP Ivan Nova from Scranton/Wilkes-Barre Yankees. July 20, 2011 Scranton/Wilkes-Barre Yankees placed RHP Ivan Nova on the 7-day disabled list. July 3, 2011 New York Yankees optioned RHP Ivan Nova to Scranton/Wilkes-Barre Yankees. October 25, 2010 New York Yankees activated RHP Ivan Nova. October 5, 2010 New York Yankees reassigned RHP Ivan Nova to the minor leagues. August 22, 2010 New York Yankees recalled Ivan Nova from Scranton/Wilkes-Barre Yankees. May 17, 2010 New York Yankees optioned Ivan Nova to Scranton/Wilkes-Barre Yankees. May 10, 2010 New York Yankees recalled Ivan Nova from Scranton/Wilkes-Barre Yankees. March 15, 2010 New York Yankees optioned Ivan Nova to Scranton/Wilkes-Barre Yankees. November 20, 2009 New York Yankees selected the contract of Ivan Nova from Scranton/Wilkes-Barre Yankees. October 18, 2009 RHP Ivan Nova assigned to Leones del Escogido. August 13, 2009 Ivan Nova roster status changed by Scranton/Wilkes-Barre Yankees. August 9, 2009 Scranton/Wilkes-Barre Yankees placed RHP Ivan Nova on the 7-day disabled list retroactive to August 6, 2009. June 27, 2009 RHP Ivan Nova assigned to Scranton/Wilkes-Barre Yankees from Trenton Thunder. June 6, 2009 Ivan Nova roster status changed by Trenton Thunder. June 1, 2009 Trenton Thunder placed RHP Ivan Nova on the temporarily inactive list. April 18, 2009 RHP Ivan Nova returned to Trenton Thunder from San Diego Padres.